“Growth, momentum, consistency at heart of our strategic direction,” says Ten boss Paul Anderson as the broadcaster becomes the fastest growing network in Oz in 2015. Network Ten 2015 Audience Report. Survey Year Weeks 7 to 48, 2015. • TEN: The Only Commercial Primary Channel To Grow In 25 To 54s, Total People. • Network Ten: The Only Network To Grow In Total People. • TEN: Up 7.5% In 25 To 54s, Up 8% In Total People. • TEN And Network Ten: Highest Commercial Shares Since 2011. • TEN And Network Ten: Biggest Audiences Since 2012. And #1 Non-Sport Program In Total People. • Five New Local Hits, All Returning In 2016. • tenplay: 171 million video views, 25 million unique visitors. Five successful new series, strong growth from existing series and continued growth in the digital and social media sectors were among the strong results for Network Ten during the 2015 ratings year. The primary TEN channel and Network Ten were the only commercial primary channel and commercial network to increase their prime time audiences this year. TEN and Network Ten also ended 2015 with their highest prime time commercial shares in total people and people 25 to 54 since 2011 and their biggest prime time audiences since 2012. Network Ten finished the year with a 29.1% share in 25 to 54s, up from 26% in 2014. More than a dozen of TEN’s existing domestic shows increased their audiences this year compared with 2014. MasterChef Australia saw its audience rise 15% to a 2015 capital city series average of 1.18 million. 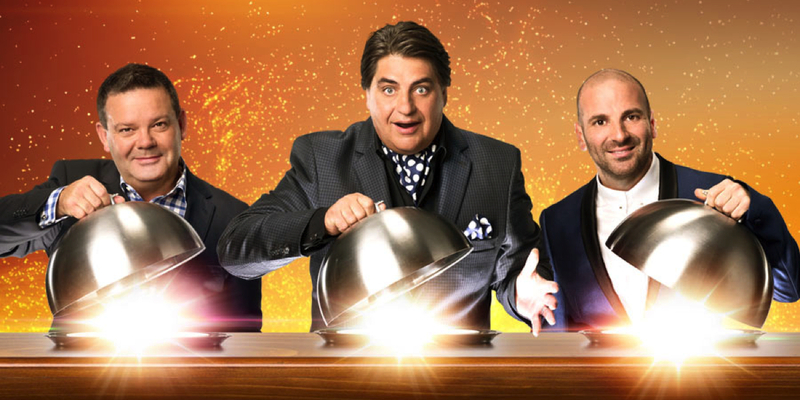 MasterChef Australia – The Winner Announced had 2.2 million capital city viewers and was the #1 overall program of 2015 in 25 to 54s and the #1 non-sport program in total people. The Bachelor Australia’s audience increased 25% to a 2015 capital city series average of 985,000, with The Final Decision episode drawing 1.52 million viewers. Have You Been Paying Attention? lifted 87% this year. Other existing shows to increase their audiences this year included Family Feud, The Project, The Living Room, TBL Families and Bondi Rescue. Five new series were launched successfully on TEN this year: I’m A Celebrity… Get Me Out Of Here!, Shark Tank, Gogglebox, The Great Australian Spelling Bee and The Bachelorette Australia. All five new series generated strong ratings and timeslot increases, and all are returning in 2006. TEN’s special drama event Mary: The Making Of A Princess was also a success, with 1.1 million capital city viewers. The strong results TEN and Network Ten enjoyed on broadcast television were mirrored online by the catch-up and streaming service tenplay. The number of downloads of the tenplay app across all devices grew 30% to 2.39 million during 2015. MasterChef Australia, The Bachelor Australia, The Project, I’m A Celebrity… Get Me Out Of Here! and The Bachelorette Australia – while page views rose 3% to 293 million and the number of unique visitors increased 13% to 25.2 million. Network Ten was a powerful force on social media in 2015, with more than 150 different channels and accounts attracting 11.8 million followers. Network Ten Chief Executive Officer, Paul Anderson, said: “Growth, momentum, consistency and innovation are at the heart of our strategic direction and we delivered strong results in all four areas this year. “We have finished 2015 with our biggest network and main channel prime time audience in years. “We are the only primary commercial channel and the only commercial network to increase their prime time audiences this year, and TEN has seen 25 to 54s audience growth in two- thirds of the 63 half-hours that make up prime time each week,” he said. Network Ten Chief Programming Officer, Beverley McGarvey, said: “The original, innovative and engaging content we offered this year across multiple delivery platforms clearly resonated with viewers. “Successfully launching five new local series in one year is an outstanding result. At the same time, our key existing local shows increased their audiences, dominated their timeslots, or both. “MasterChef Australia attracted more viewers in its seventh season, which is an amazing result, and we were very happy to see other established series build their audiences year on year,” she said. “Our audiences are growing on all screens, not just on television. Tenplay continues to add new users at a rapid rate and achieve great results, including record-breaking video view numbers this year for MasterChef Australia, The Bachelor Australia and The Bachelorette Australia. “The Bachelor Australia, MasterChef Australia, The Project and other Network Ten shows are social media sensations, dominating conversations whenever they are on air,” McGarvey said. McGarvey added: “Maintaining growth, momentum, consistency and innovation across all our delivery platforms is the key priority for 2016. • The only commercial primary channel to grow its 25 to 54 and total people audience in 2015. • Prime time audience up 8% in total people, 7.5% in 25 to 54s and 7.4% in under 55s compared with 2014. • 32 weeks of year-on-year audience growth in total people. • 28 weeks of year-on-year audience growth in 25 to 54s. • Biggest prime time audience in total people and 25 to 54s since 2012. • Highest commercial share in total people and 25 to 54s since 2011. 7% on Friday, 6% on Wednesday and 6% on Tuesday compared with 2014. • The only commercial network to grow its total people prime time audience in 2015. 2% in 25 to 54s and 2% in under 55s compared with 2014. • 25 weeks of year-on-year audience growth in total people. • 21 weeks of year-on-year audience growth in 25 to 54s. • Biggest prime time audience in total people since 2012. • Prime time commercial share in 25 to 54s was 29.1%. • Prime time commercial share in under 55s was 28.8%. • #1 in day time in 25 to 54s for the 15th consecutive year. • #1 multi-channel combination in day time in 25 to 54s and total people. • #1 multi-channel combination all day and night in women 25 to 54. • ELEVEN: #1 multi-channel in daytime in 16 to 39s, 25 to 54s and total people. • ELEVEN: #1 multi-channel all day and night in women 16 to 39. • ELEVEN: #2 multi-channel in prime time in women 16 to 39.